Outside-In House Greenery home in London's Clerkenwell neighborhood. 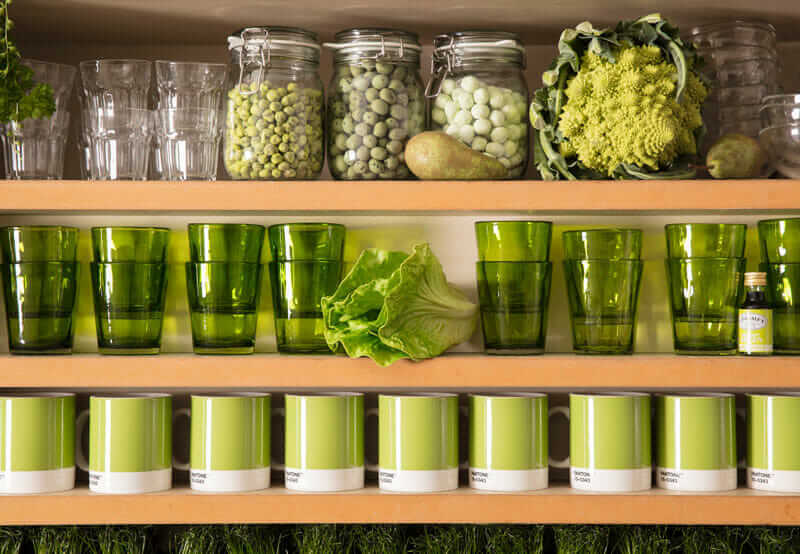 Courtesy Pantone/Airbnb. Save for the iconic double-decker buses adding occasional bursts of red, London winters are mostly gray. For four colorful days in January, however, London received a visual jolt in the Clerkenwell neighborhood: Amid the stone façades of English flats, a bright green door woke up passersby like an alarm clock for the eyes—and the soul. 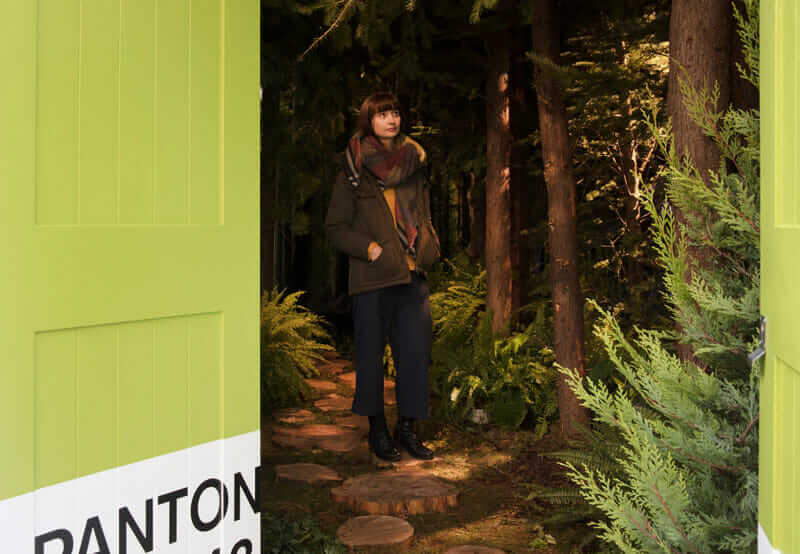 “Satisfying our growing desire to rejuvenate, revitalize, and unite, Greenery symbolizes the reconnection we seek with nature, one another, and a larger purpose,” said Leatrice Eiseman, Pantone Color Institute’s executive director. The house was available January 27–30 for overnight stays via Airbnb, and celebrated Greenery’s ethos: a wooded foyer featuring live ferns, moss, trees, and stepping stones made of tree stumps; an indoor greenhouse/dining room; a garden-themed bedroom with real turf, topiaries, and soporific plants; a rainforesty bathroom; and a kitchen growing live herbs and vegetables. The house was a brilliant and buzzworthy marketing piece. 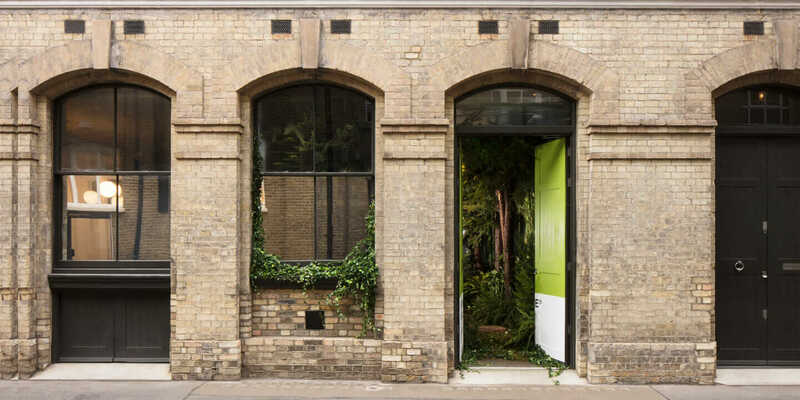 More than that, it was a reflection of a larger trend toward biophilic design, which—by incorporating humans’ innate need for nature—may have as bright a future in architecture as a green door on a drab London frontage. Outside-In House Greenery home. Courtesy Pantone/Airbnb. The green-building movement of the last 15 years has largely focused on designing buildings to suit the environment and protect it. 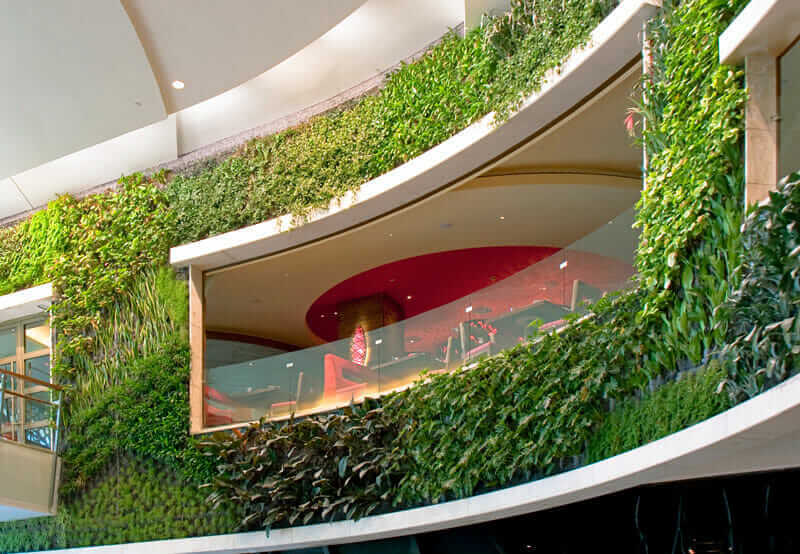 If biophilic advocates have their way, however, the movement’s next 15 years will be more literal: designing buildings that mimic the environment and extend it indoors. Research over many decades suggests that Wilson was onto something. A recent example is a 2015 Stanford University study, which correlates spending time in nature with mental-health benefits. Similar studies demonstrate that views of nature help hospital patients recover more quickly, natural daylight improves students’ learning in school, and people who work in offices with indoor plants get sick less often. The effect is both psychological and physiological. People in or near nature report less anxiety and improved moods, and they also show positive physical responses to natural environments—including decreases in blood pressure, heart rate, and the stress hormone cortisol. 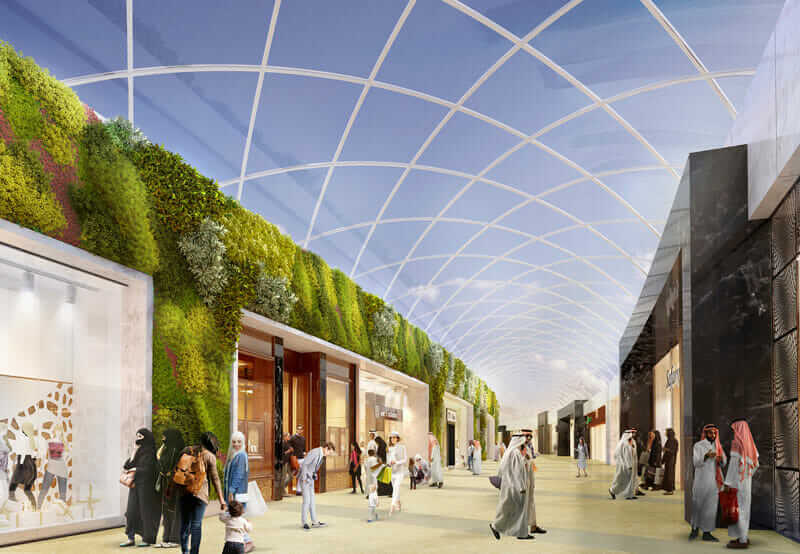 Rendering of the 360 Mall in Zahra, Kuwait. Courtesy CallisonRTKL. 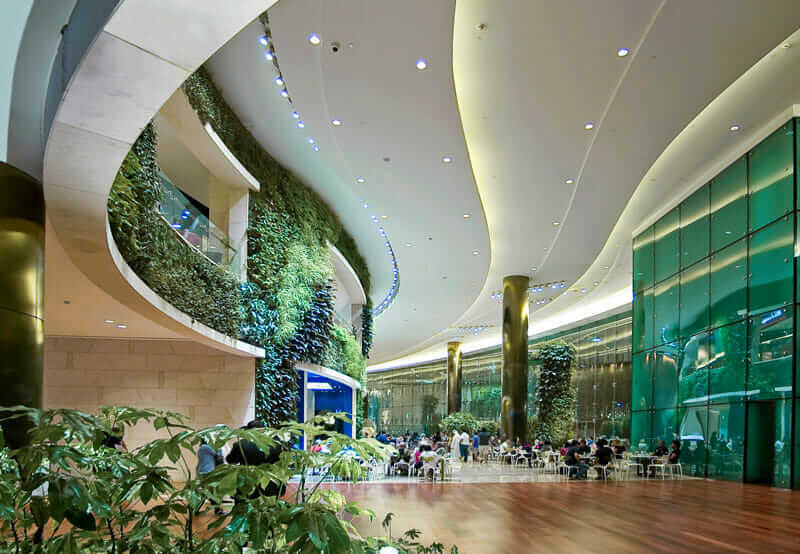 360 Mall in Zahra, Kuwait. Courtesy CallisonRTKL. 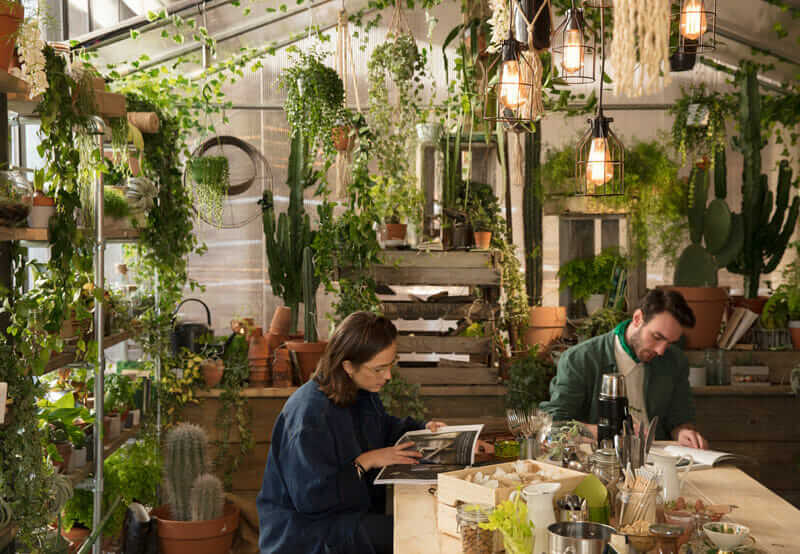 Although humans have always had some connection with nature, the rapid escalation of technology and urbanization makes a stronger case for biophilic design than ever before, according to architect Dwayne MacEwen, principal of DMAC Architecture in Evanston, Illinois. Architects and designers can employ multiple strategies to create that “space between the notes.” Environmental consulting firm Terrapin Bright Green has identified 14 distinct patterns of biophilic design including: visual connection with nature (a view to the outdoors); nonvisual connection with nature (auditory, haptic, olfactory, or gustatory stimuli); dynamic and diffuse light (varying intensities of light and shadow); material connection with nature (natural materials and elements); and biomorphic forms and patterns (symbolic references to nature’s patterns and textures). Rendering of the Midtown Athletic Club in Chicago. Courtesy DMAC Architecture. MacEwen leveraged many of these strategies designing the Midtown Athletic Club, a 575,000-square-foot athletic center and hotel scheduled to open in Chicago this summer. 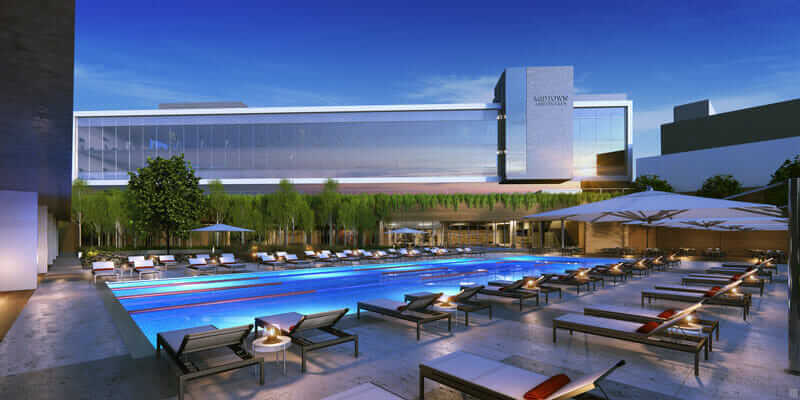 The club’s fitness area will feature floor-to-ceiling glass windows overlooking a landscaped pool deck outside; the deck’s flowering trees will bring the outdoors in, visually. And in the club’s interior, backlit birch trees, quarried rock, and board-formed concrete will add earthborn textures. 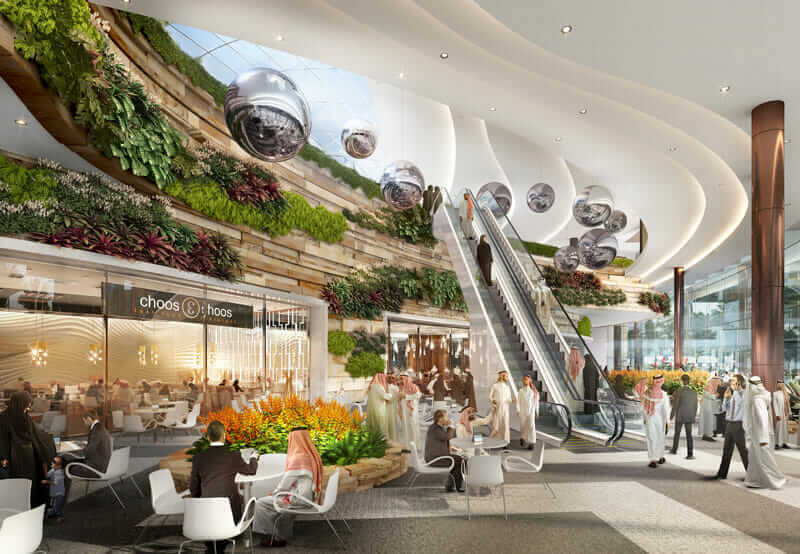 Nature likewise dominates CallisonRTKL’s design for the 215,000-square-foot retail expansion of the 360 Mall in Kuwait. 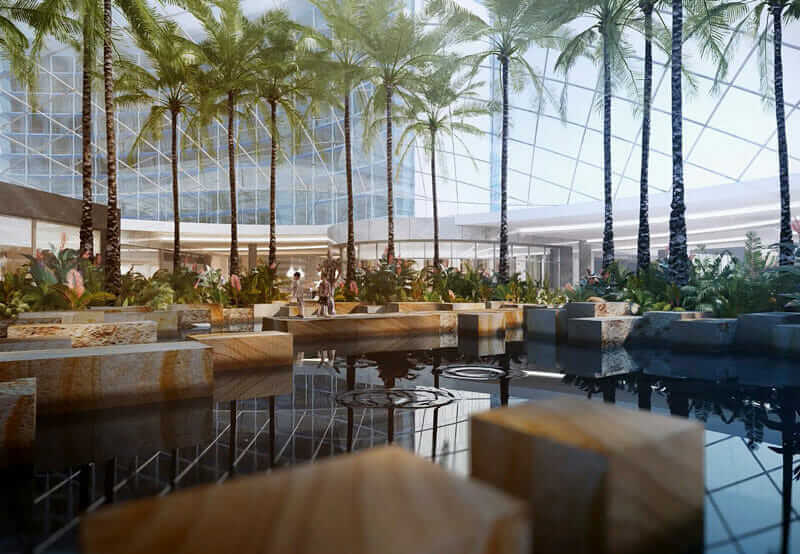 When the space is complete in 2019, O’Grady says, it will feature large skylights, naturalistic water features, interior palm trees, quarried blocks of stone, and an indoor “living wall” with more than 100 different plant species to naturally purify the air, absorb noise, and minimize the building’s temperature fluctuations. There’s even a new hotel in Texas—the Fairmont Austin, opening in August—billing itself as a “park in a hotel.” Conceived by interior designer Warren Sheets, it pays homage to the nearby, historic Palm Park, incorporating a life-size topiary garden and two towering Heritage Oak trees flanking its reception desk. The Fairmont Austin Hotel near historic Palm Park. Courtesy Fairmont Austin. 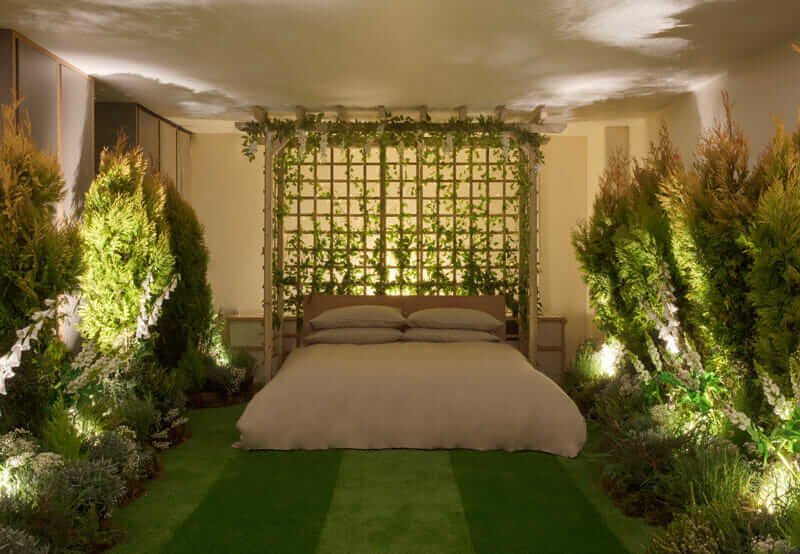 Although the concept of biophilic design sounds simple, its execution is anything but. 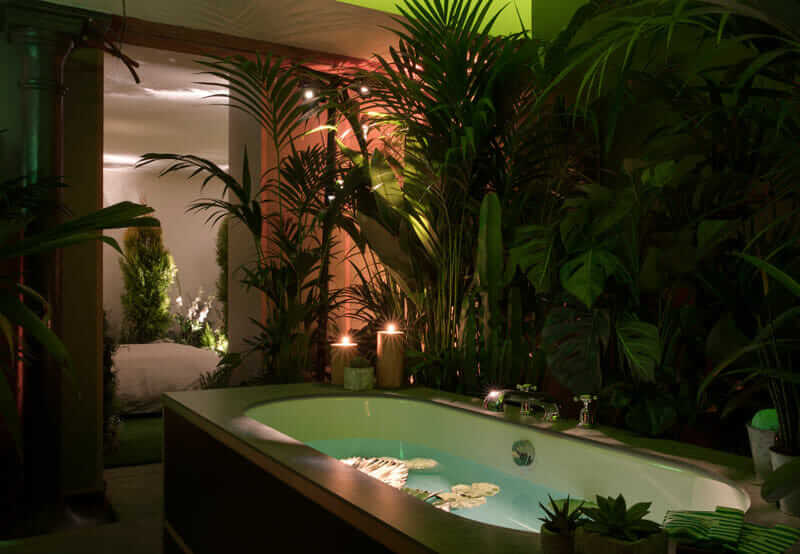 According to O’Grady, architects and designers have to parse atmospheric conditions needed to sustain indoor plants; maintenance challenges of natural elements like interior greenery, water features, and stonework; and design elements required to conceal unsightly infrastructure, such as grow lamps and water pumps. Then there’s the added expense to consider. Emrich is confident, however, that as society becomes more detached from nature, building sponsors will recognize the value of reconnecting with it.